Do you ever find yourself assuming that every multimillionaire made it there because of his or her family's money? Although this is true for some business men and women, for the majority it's not. 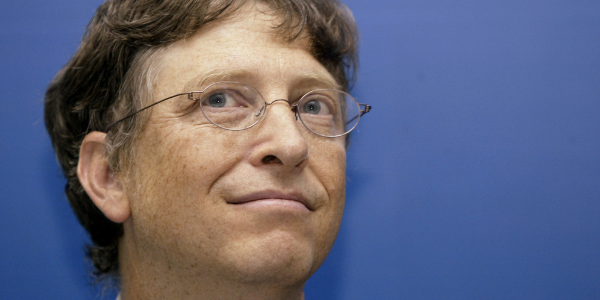 Many of the wealthiest business icons today started at the bottom and worked their way up. With determination, perseverance, and a little pinch of luck, the following business men and woman found their way to the top of their respective industries. According to a BBC News article entitled Donald Trump: The secret of his success, Trump had quite the journey to the top. At a very young age Trump realized his dream of owning his own real-estate company. Following in the footsteps of his father Trump soon learned the ins and outs of the industry. In his early twenty’s Trump used his perfected powers of persuasion to land a spot in Manhattan’s most prestigious business club. Unlike the other members of this club, Trump was the only individual who did not own his own company and was not a multimillionaire. While in the club, Trump gained many contacts and met many of his future clients. He is now the owner of The Miss Universe organization, Trump Towers, casinos, resorts, hotels, golf courses, entertainment complexes, and a co-producer of The Apprentice. Donald Trump may have come from humble beginnings but the empire he built for himself is truly exquisite. According to The New York Times article: Oprah Winfrey, Winfrey also had large obstacles in life. She was in-between living with her mother and grandmother. She was also abused frequently throughout her childhood. After escaping her rough childhood she grew up to land her own talk show. After several years on the talk show she developed her own production company (HARPO Productions, Inc.). She then purchased her talk show from the prior network. She is the first woman in history to own her own talk show and produce it. Oprah shows the true potential of women in the business market. With a will to fight for your dreams being extremely successful is possible.